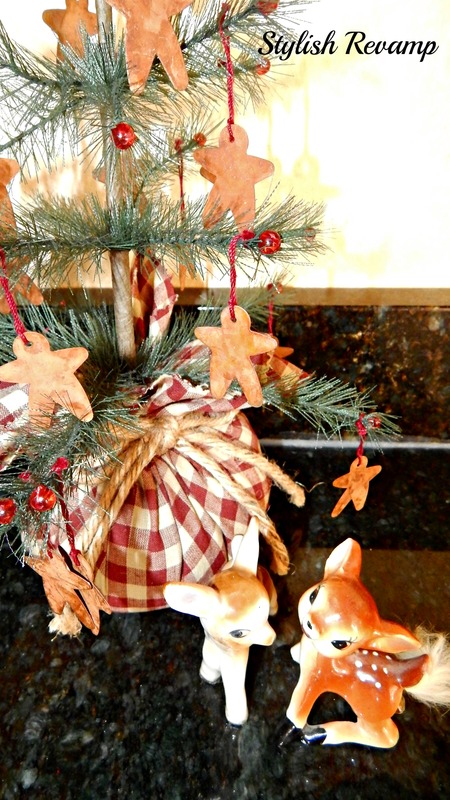 I love finding Vintage Christmas decorations. Most of the things I find remind me of Christmas back home with my parents and my brothers and some of the things I buy because they just seem so unique to me. I love all the memories these items bring back to me. 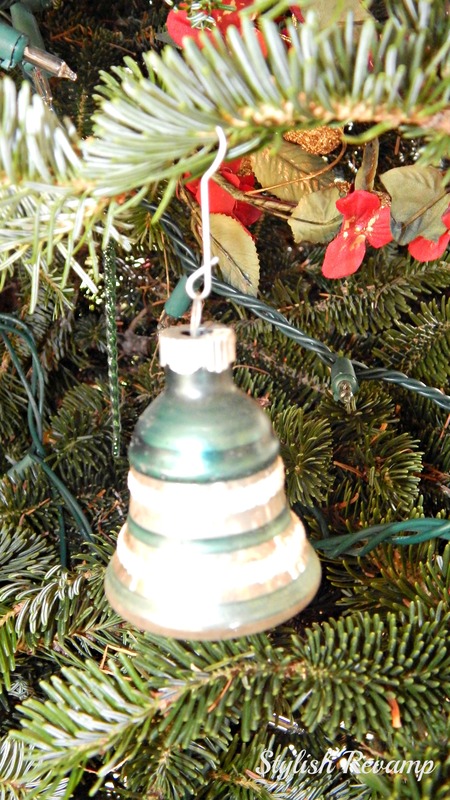 One of my Shiny Brite ornaments…there is just something about vintage ornaments…just love them. 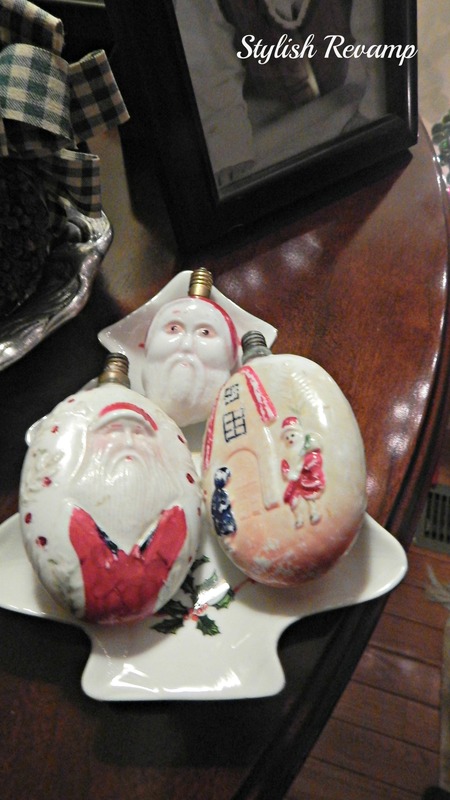 These two Santas are my all time favorite. I think they are so adorable. I don’t know anything about them but they are so special to me. Another one of my favorites…my metal Santa, ice skaters, police officer, skiers and sled riders. 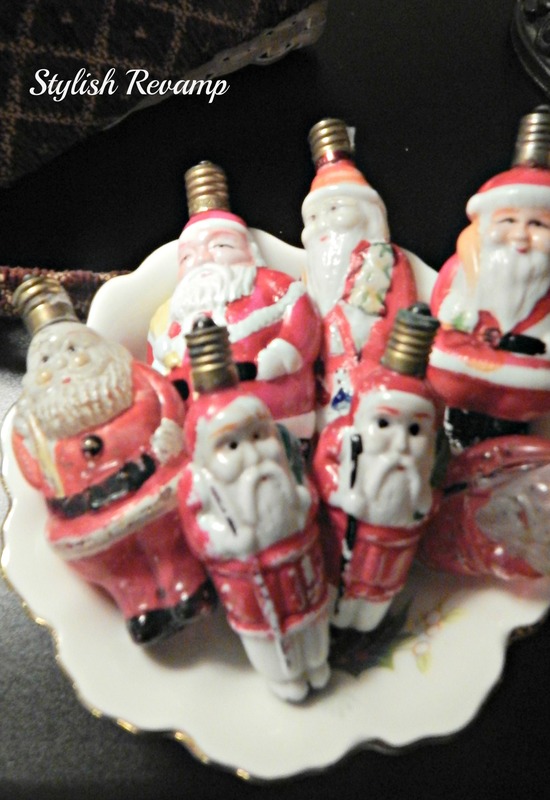 These are vintage Christmas Light Bulbs. When we travel I always try to find at least one to add to my collection. I really would like to add them to a light strand but I haven’t found one that I feel comfortable using. My oldest brother is a firefighter so I am a bit cautious when it comes to things like that. 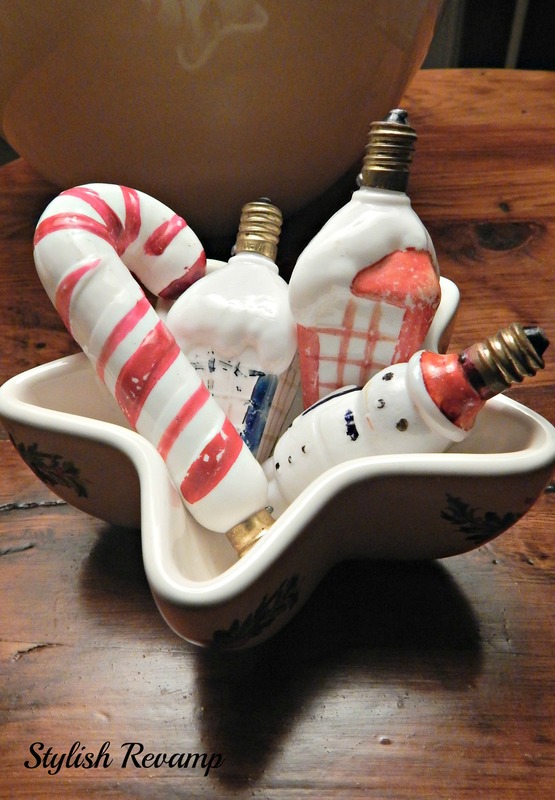 So instead of lighting them, I place them in little bowls and Christmas dishes. 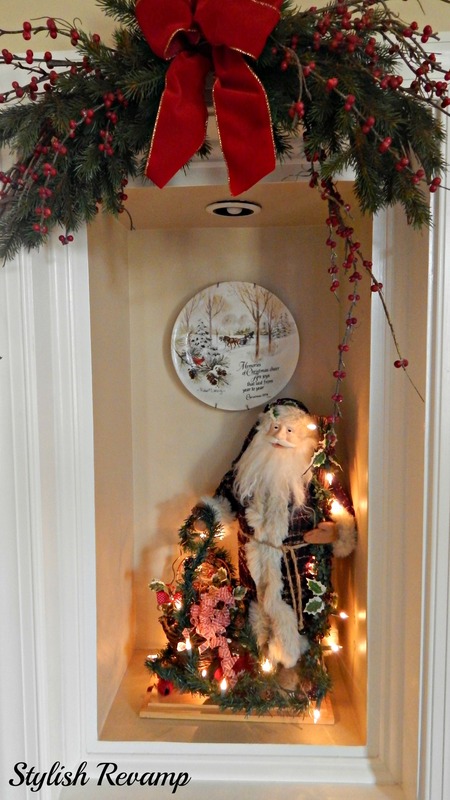 Just another Vintage plate hanging in the alcove above Santa. 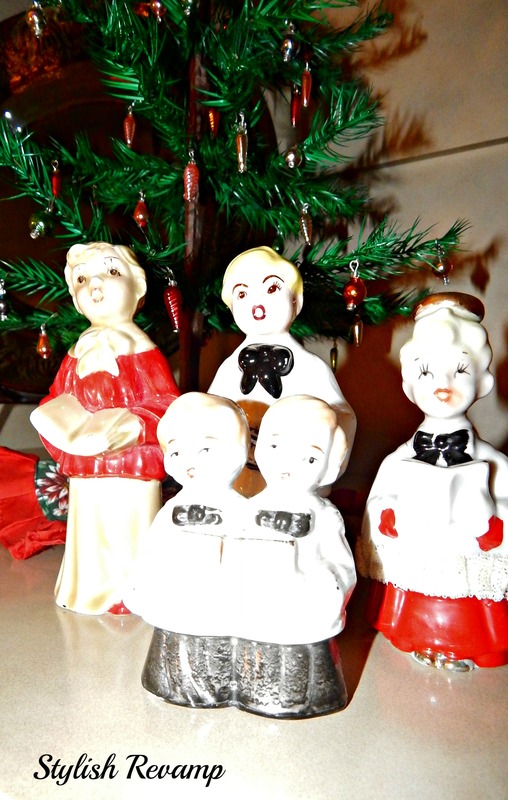 Here are some Vintage collectibles. 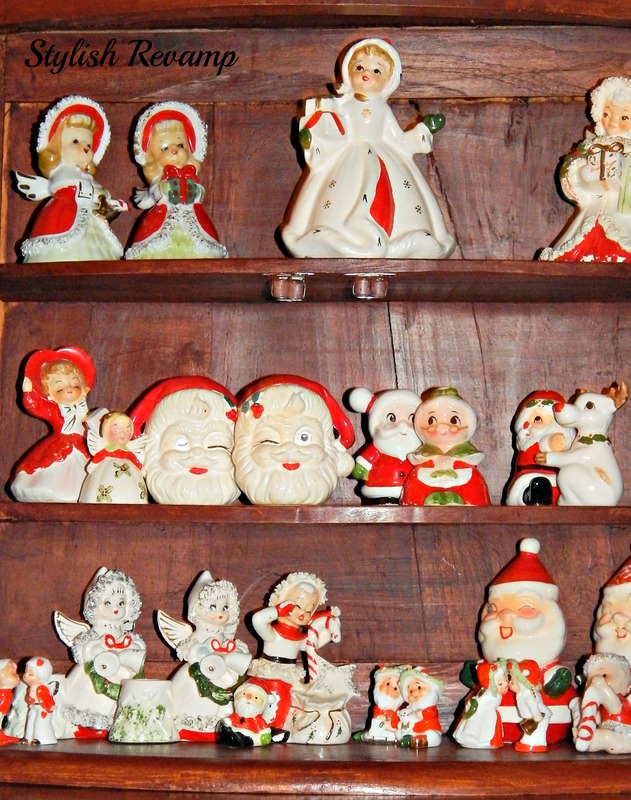 Some of these are salt and pepper shakers, candle holders, and plant holders/vases. 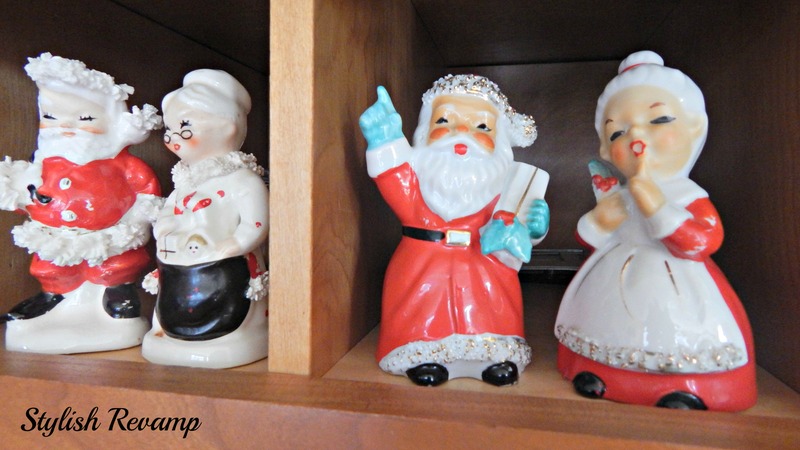 Like I said some of these things are similar to the things my mom decorated with at Christmas time but the other things just remind me of that time in my life… such great memories of Christmas Past! What? No Christmas rings?!!!! 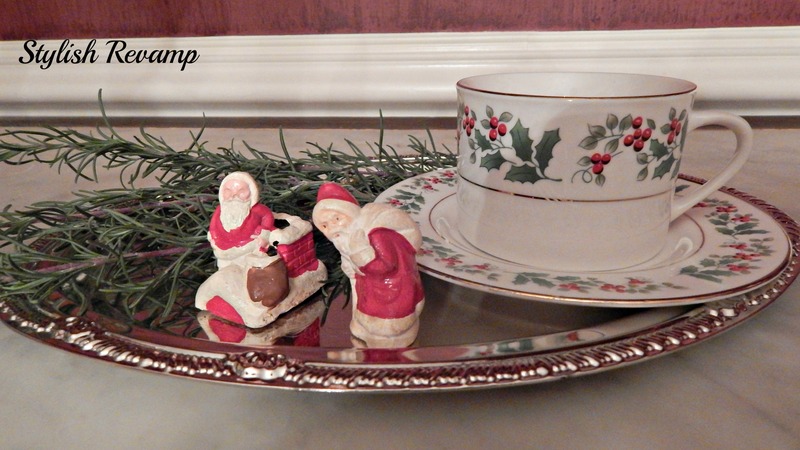 I thought for sure that would make your Christmas memory favorites list! Haha, you are soooo right!